Spray Areas and Paint Halls to meet 4114.1:2003 Spray Booth & 4114.2:2003 Designated Spray Area Standards. To facilitate your surface coating business blasting is never far away. Truflow can help design and implement a facility with our industry partners. Blast & Spray Project Services, Implementation, Design & Compliance. A blast and spray facility is specific to the industry you are in. 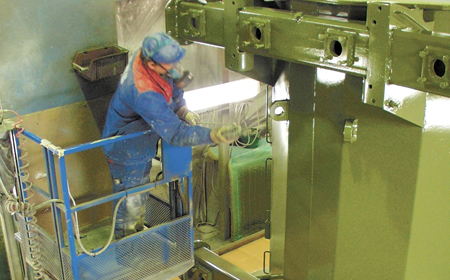 Different applications of Blasting rooms and spray enclosures or spray extraction walls can be applied to an industrial or commercial coating application. Each system must be fully compliant to the National code and Standards relevant to the installation. As a Major Defence and commercial contractor our expertise in this field is utilised on many projects Australia Wide including in remote parts of Australia where contract works is in operation. In order to best determine exactly our sales engineers and technical team can guide you in the right direction. Truflow provides compliance solutions, that is simply the busiess we are. 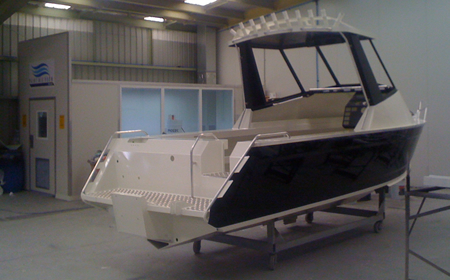 All systems produced by TRUFLOW are engineered, Australian made and passed with a compliance guarantee. 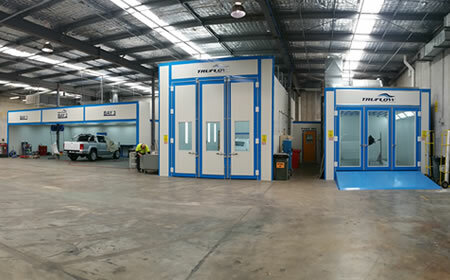 You can be certain that your new paint booth will exceed National Standards and pass the local codes and government standards. 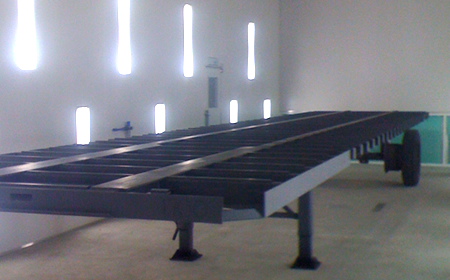 When Purchasing a new finishing system or spray booth the major consideration will always be compliance. TRUFLOW understand the Environmental Protection Agency’s (EPA) by laws and regulations which apply in your state or territory. Our national presence ensures you are backed by a company that can support your business and provide fully licenced certification and compliance.